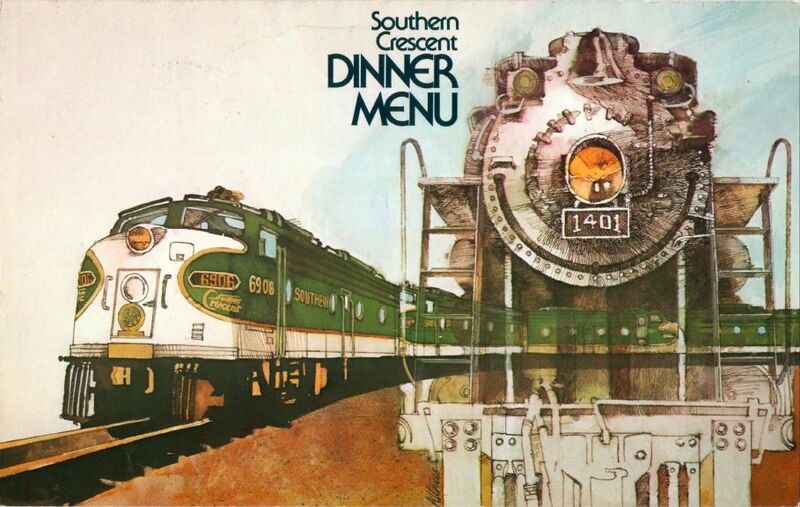 Menu Medley - Southern Railway | Phoebe Snow Company Inc. 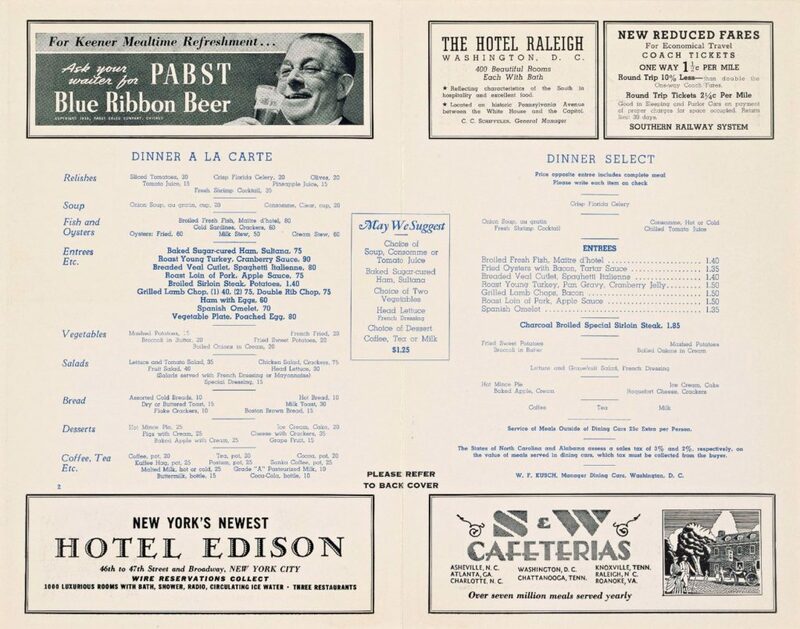 Along with the Rio Grande, the Southern gave many of us an opportunity to experience traditional dining car service after the creation of Amtrak. 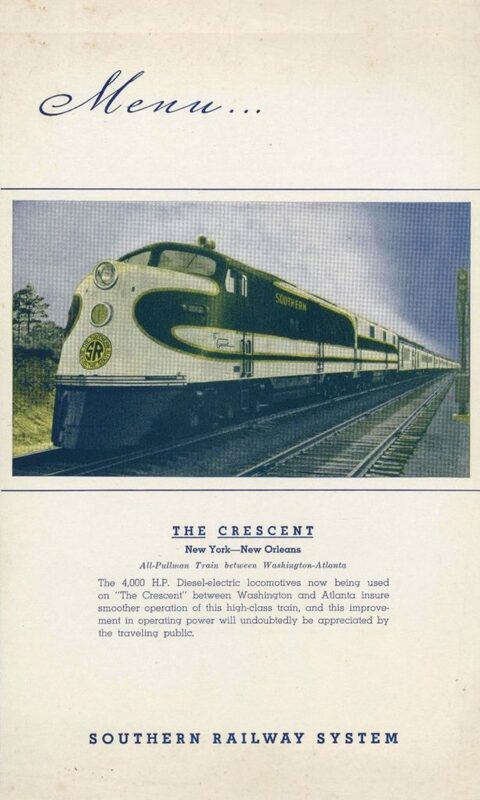 Unlike the Rio Grande, the overnight run of the “Southern Crescent” (and to a lesser extend, the “Piedmont”) allowed for a multi-day, multi-meal dining car experience. 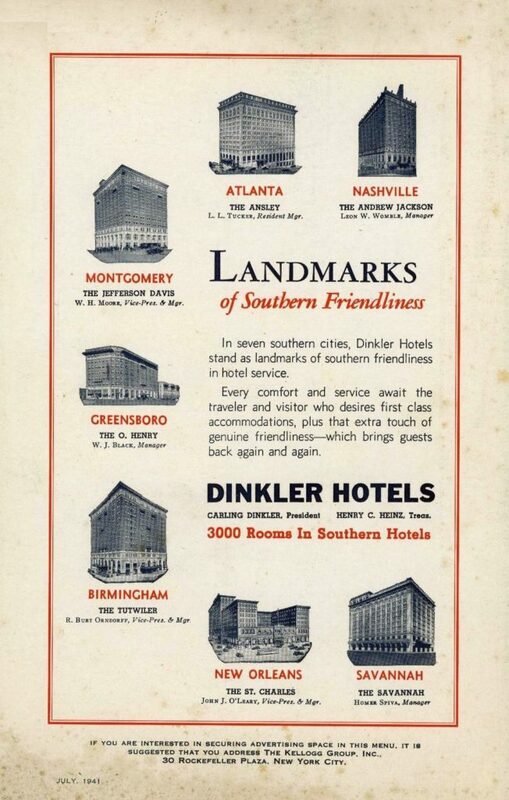 The Southern had a number of trains and a number of routes featuring dining car service, well into the 1960’s. 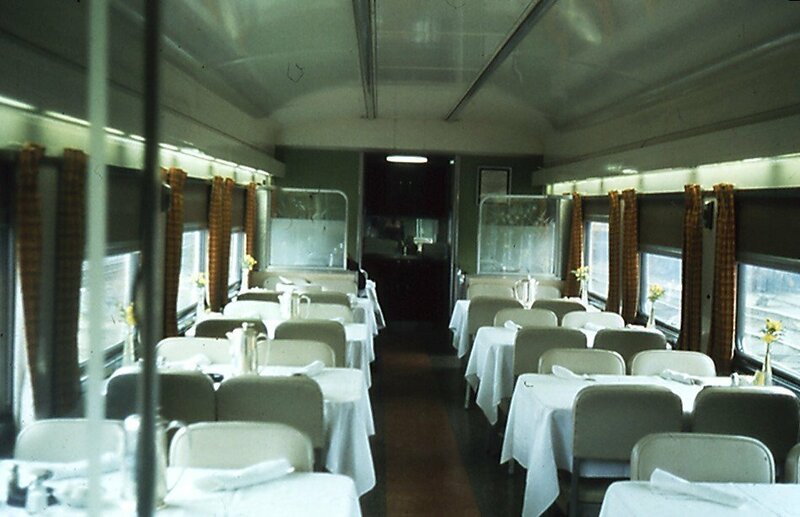 Indeed, the dining car operation at the Tennessee Valley Railroad Museum features a modernized heavyweight dining car that was still being used on secondary trains before going to the museum to continue to serve rail passengers, hardly without missing a beat. 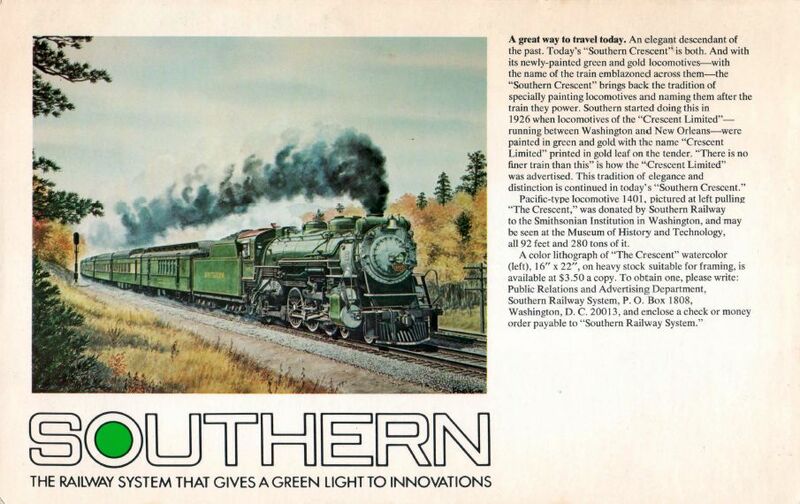 Don Phillips years ago in Train Magazine referred to the Southern’s passenger service as rating a letter grade B (I assume he would rank ATSF or UP an “A”), but their no-nonsense Southern traditional dining car service is memorable for reflecting the areas it ran through. 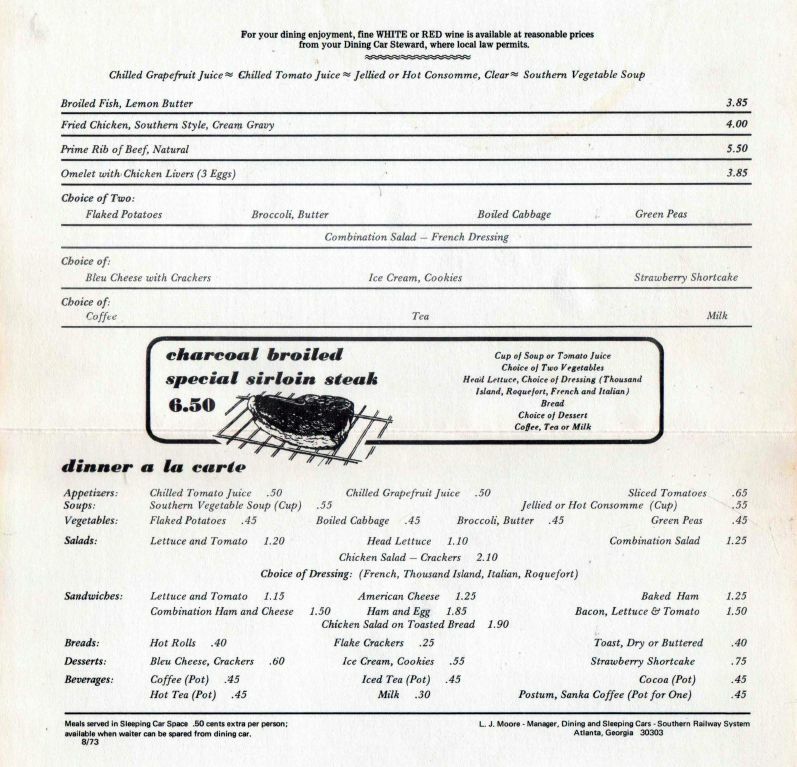 I do remember having the fried chicken (as a kid, more of a treat than prime rib!) and it was quite good. 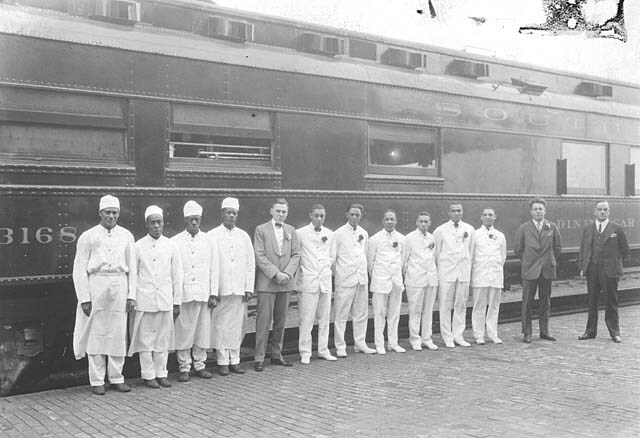 Photo of the dining car crew – 4 chefs, 1 steward, 6 waiters. 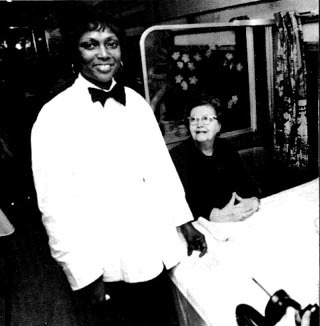 Waitress Lois Steed in 1979, just before the Southern handed the train over to Amtrak. 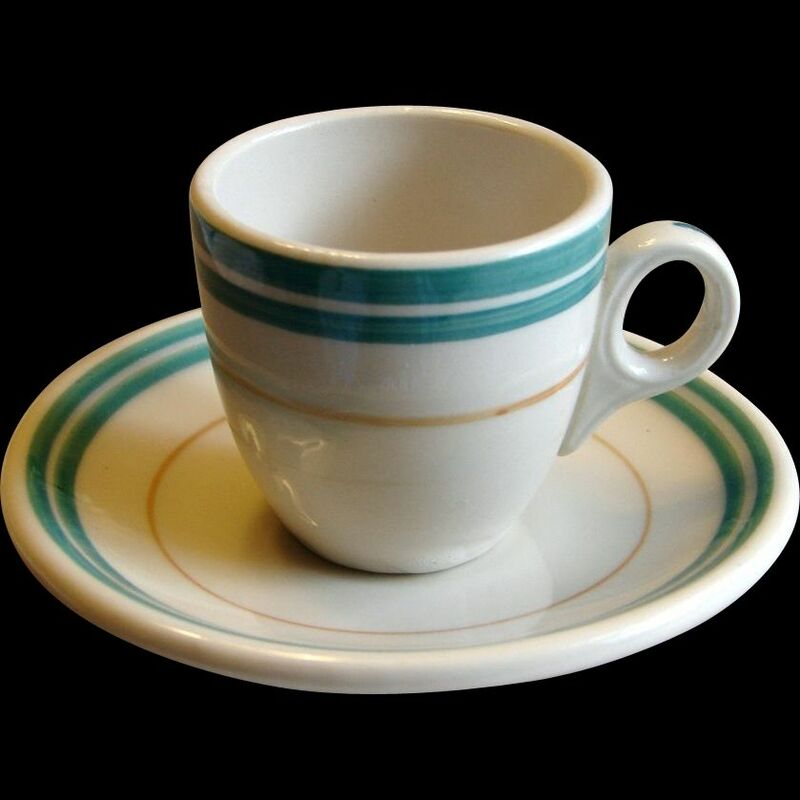 The “Peach Blossom” pattern was the standard pattern used for many years. 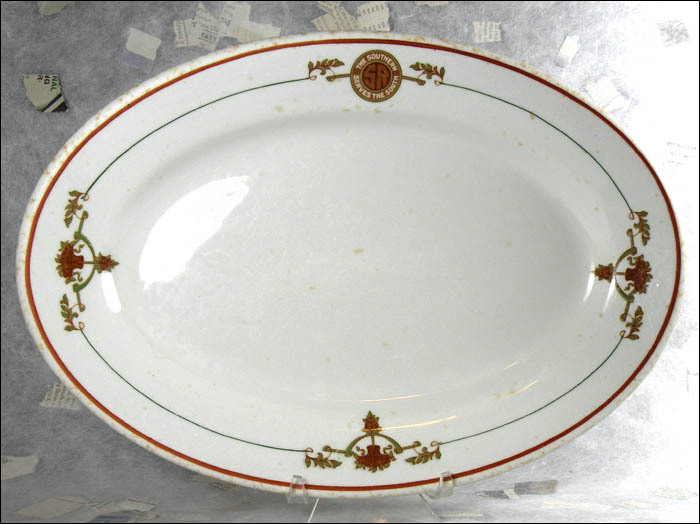 The “Piedmont” pattern was the one in use until the end of service in 1979. 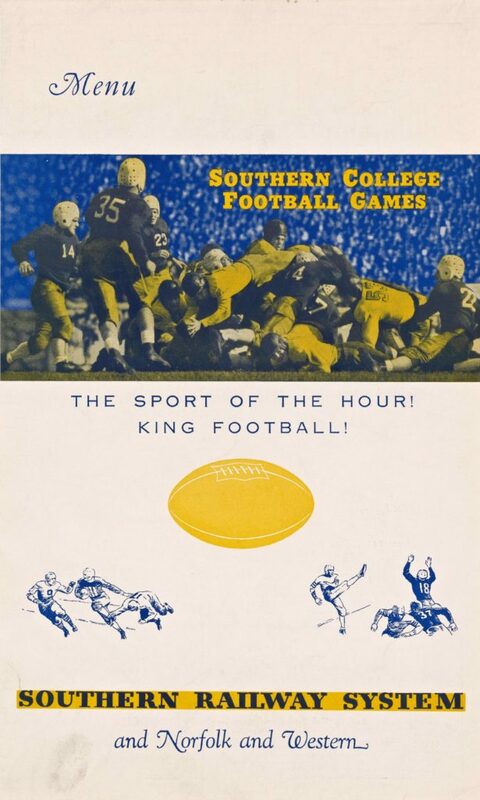 I have always thought it was a pleasant modern pattern. 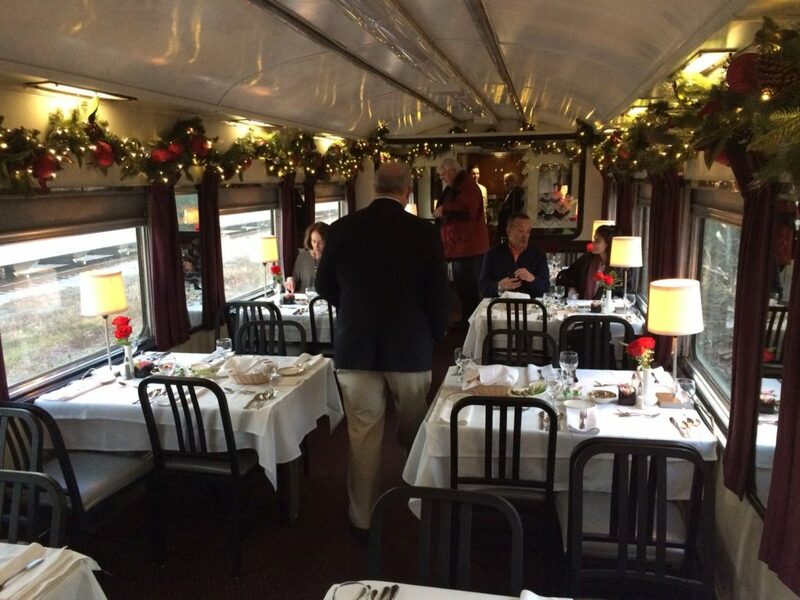 Dinner is about to be served on a Christmas trip on their ex-Southern modernized heavyweight diner 3158, now named “Travelers Fare”. 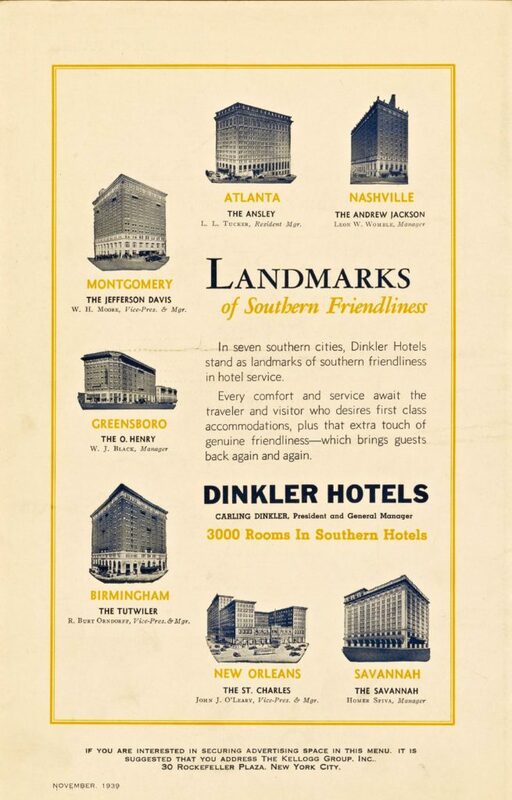 While not an attempt to replicate Southern dining car service, certainly a great recreation of the typical circa 1960 dining car experience. 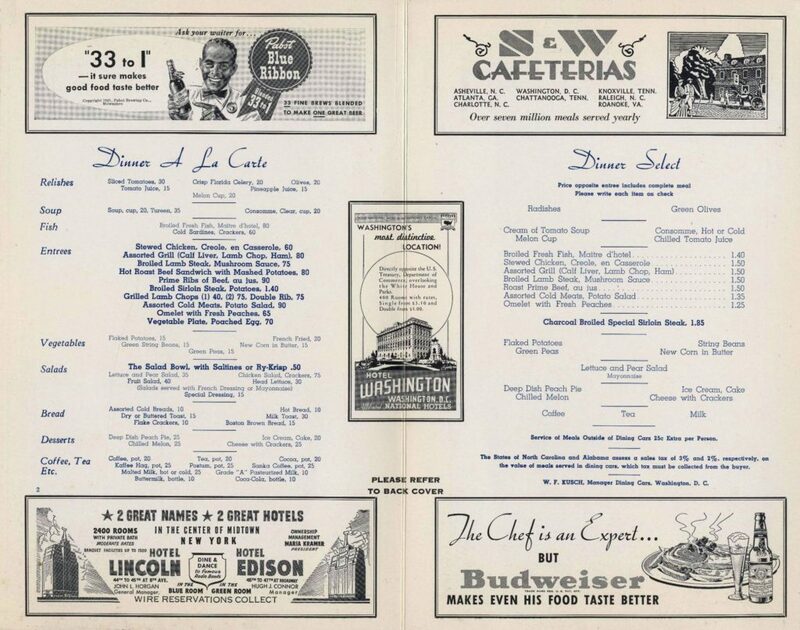 We hope you enjoyed a look back at the Southern’s dining car service.